Devices concerned: DGPT2®, DGP® The device is equipped with a pressure switch with 2 microcontacts, whose triggering thresholds are identical. The triggering threshold is defined by the customer. 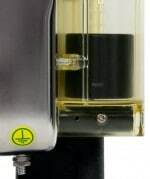 Devices concerned: DGPT2® The device is equipped with a Harting connector on the cover enabling the user to connect or disconnect the wiring system while the metal housing remains closed. 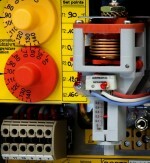 Devices concerned: DPGT2® The graduated dial of the thermometer is visible on the cover side of the metal housing. Devices concerned: DGPT2®, DGP® The device is equipped with a transparent body, a flange and a thermowell that can withstand a dielectric temperature up to 170°C. Devices concerned: DGPT2®, DGP® The flange of this device is equipped with two 3/8” male inserts for conservator connection (or connection to any other accessories). Devices concerned: DGPT2®, DGP® The device is equipped with a marine cable gland insuring the cable anchorage, the continuity of armour and the water tightness of both the internal and external cable coating from the connecting cable. Devices concerned: DGPT2®, TDC®, TDCI® The device is equipped with a 80°C Positive Temperature Coefficient thermistor located in the thermowell. It is connected to an independent terminal block with 2 wires. 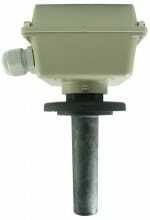 Devices concerned: DGPT2®, DGP® The drain tap equipping the device includes a popoff relief valve. Its calibration is defined by the customer and adjusted by Automation 2000. 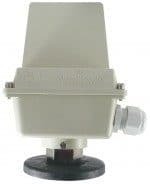 Devices concerned: PR® The device is equipped with a flange to be installed on a 60 mm opening that can withstand a dielectric temperature up to 140°C. Devices concerned: TDC®, TDCI® The device is equipped with a flange with thermowell to be installed on a 60 mm opening that can withstand a dielectric temperature up to 140°C.